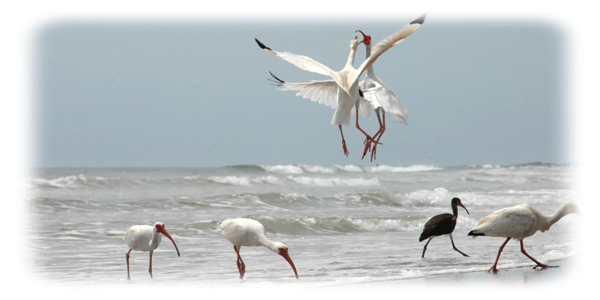 Canaveral National Seashore - Titusville and New Smyrna Beach, Florida - 24 mile beach, swimming, birding, fishing, wildlife - National Park Service. BE PREPARED: The seashore is located 12 miles east of Titusville on S.R. 402. Bring water, food, sunscreen, etc. This is nature unspoiled! The only amenity on this seashore is toilets. Canaveral National Seashore has two districts, and is located on the East Coast of Central Florida between New Smyrna Beach and Kennedy Space Center. The Seashore is accessible via Interstate 95 (Exit 80 and Exit 84), U. S. 1, State Road 44 and State Road 406/402. Park passes may be purchased at our entrance stations. 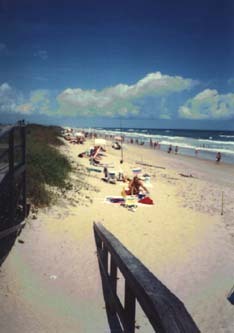 Apollo Beach entrance station is located in New Smyrna Beach, Florida. Playalinda Beach entrance station is located near Titusville, Florida (Latitude: 28.645167, Longitude: -80.68325). Please call the Apollo Beach visitor center for directions (386) 428-3384 ext. 0. Passes are not available at Park Headquarters. 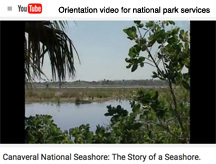 The National Park Service (NPS) announced today Canaveral National Seashore will modify its entrance fees to provide additional funding for infrastructure and maintenance needs to enhance the visitor experience. Effective January 1, 2019 the entrance fees to the park will be $15 per vehicle or $10 per motorcycle and $5 per pedestrian/bicycle for a 7 day visit. An annual park pass will remain $40. All of the money received from entrance fees remains with the National Park Service with at least 80 percent of the revenue going to Canaveral National Seashore. Canaveral National Seashore plans to remain open for launches occurring on Kennedy Space Center that are within the normal operating hours of the seashore. These hours are 6:00 am to 6:00 pm EST or 6:00 am to 8:00 pm DST. Depending on the launch location within the center, you may experience changes in traffic and parking patterns. The seashore will close to incoming visitors at such time as parking areas are full. The seashore plans to manage these launches under a modified Incident Command System Plan. NASA has the authority to close parts of Canaveral National Seashore for space center operations. Every attempt will be made to keep the visiting public apprised of these exciting events, while providing for visitor and staff safety. The National Park Service featured us as the "National Park Getaway" of the week on December 14, 2011. ... protects 10 National Seashores in the United States. Canaveral National Seashore is a step into the past, protection for the present, and a doorway into the future. 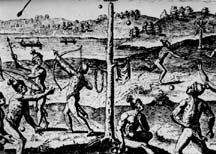 The 100 Timucuan Mounds that are within our boundaries are evidence of past generations of people that lived here. Canaveral National Seashore covers 57,000 acres and is the longest stretch (24 miles) of undeveloped beach on Florida's east coast. Fourteen endangered species make their home within Canaveral's boundaries. 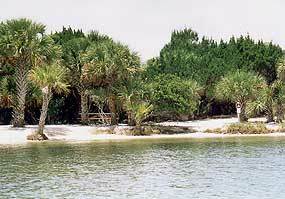 ... owns the land that is managed by the National Park Service and Merritt Island National Wildlife Refuge. Joint efforts of three agencies is protecting it from development and preserving the history, the wildlife and the diverse habitats. This nation's desire for a future space program in 1955, protected this area from development and preserved the history, the wildlife, the diverse habitats. ... offers undeveloped beaches with limited services. There are no designated picnic areas, food services, beach showers. Life guards are on duty May 30th through September 1st and limited horseback riding is available in the north district (12/22/15 - update). Short, self-guiding trails and beach and island camping are available in the north district. Twenty-four miles of undeveloped beach is available at Apollo Beach in the North District of the park near New Smyrna Beach and Playalinda Beach at the South District. 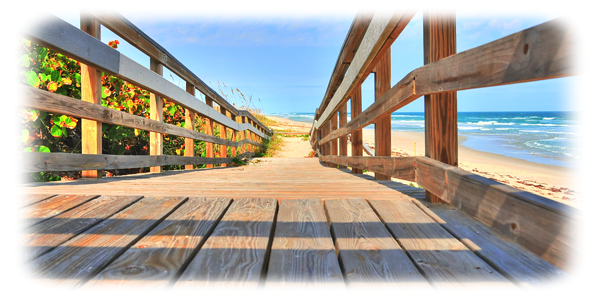 Boardwalks from the parking areas offer access to the beach protecting the fragile sand dunes from foot traffic. Life guards are stationed at each district of the park at Parking Area 1 on Apollo Beach and at Parking Area 2 on Playalinda Beach. Life guards are on duty from 10:00 a.m. to 5:00 p.m., May 30 through September 1. There is no water available, no showers, or public telephones. For your protection be aware of safety concerns when visiting the ocean. Rip currents, lightning, and Portuguese man-of-war can be hazardous. Rip currents that flow seaward from the beach can be deadly. On sandy beach, sandbars often develop a short distance from shore (10-100 yards). Ocean water washes across the bar, gathers in the trough, and rushes back out through the breaks in the sand bar, thus creating a rip current. Rip currents can be very strong. 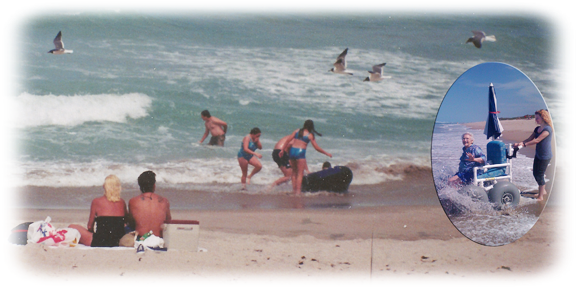 Unwary bathers are sometimes caught in rip currents and carried deeper into the ocean. Learn how to identify rips. Know the conditions that produce them. To escape a rip, swim across the current not directly back into it. Once free of the rip, swim back to shore. Most important of all, remain calm. Panic in rip currents causes death. Central Florida is the lightning capital of the world. If you observe lightning while on the beach seek shelter in your car until the storm passes by. The Portuguese man-of-war is a floating drifting jellyfish that trails long "feeding" tentacles designed to sting and stun prey. The living cells in these tentacles can severely sting beach users. The Portuguese man-of-war looks like a purple balloon to children. Sometimes they will try to touch it or pick it up. If you see a man-of-war floating in the water, remember the tentacles can stretch up to 50 feet. Keep your distance. Even when washed up on the beach and apparently dead contact with the man-of-war can cause severe reactions. If stung, quickly and carefully remove any tentacle parts that may remain on the skin. A mixture of 50% vinegar and 50% water or meat tenderizer is useful to bring to the beach or you may contact a park ranger for assistance. Some people may have severe reactions. 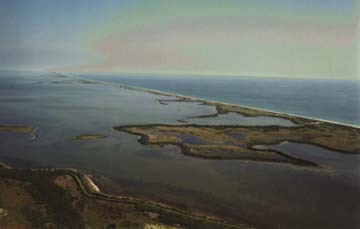 Canaveral National Seashore serves as an important nesting area for sea turtles. During the months of May through August, giant sea turtles lumber ashore to nest on the beach. Three species are know to nest within the park; the loggerhead, leatherback and green sea turtle. Loggerheads lay 3,000 - 4,000 nests per year. Up to three hundred greens and only a few leatherbacks deposit their eggs within the park boundaries each nesting season. 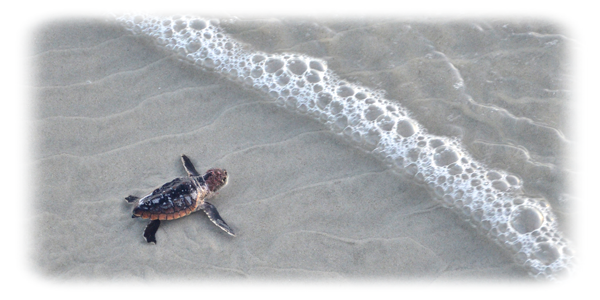 CLICK HERE for more detailed information about the Sea Turtles at Canaveral National Seashore. Limited backcountry camping in the Seashore is permitted on the beach November 1 through April 30 and on designated islands all year around. A backcountry camping permit is required; call: (386) 428-3384. Click for more information. Walking trails to prehistoric and historic destinations, some with interpretive signs. One leads to the Eldora State House. The Canoe Trail is located around the mangrove islands. Click for more information. Canaveral National Seashore hosts 1,500,000 visitors a year. 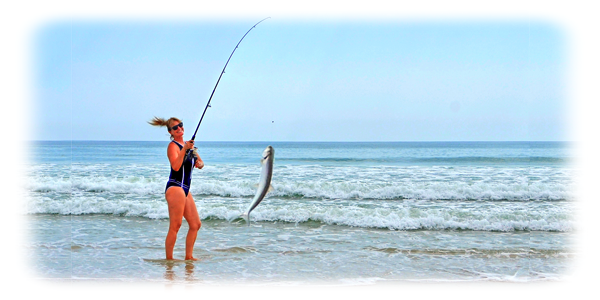 We offer 24 miles of secluded beach and 57,000 acres of relatively undisturbed wilderness. This seclusion offers the opportunity for visitors to enjoy a walk along a pristine beach and enjoy nature at it's best. Don't bring valuables to the beach. If possible leave everything locked securely in a motel or hotel safe or leave them at home. If you must bring them with you secure them out of sight. The weather can be unpredictable. Please leave the beach immediately if you see lightning. Florida is the lightning capital of the world. We have no running water except at the Information Center near New Smyrna Beach. Bring plenty of water to drink. There are no showers at Canaveral National Seashore. Our beach facilities have self-contained chemical toilets. If you wish to wash you hands or rinse the sand off your body after a day on the beach, each person in your party should bring a gallon or two of water. Protect yourself from the sun with sunscreen and from biting insects with insect repellant. Racoons can be bothersome. Do not feed them. Keep all food locked in your car until you are ready to eat it. Visitors have lost purses and there contents simply because there was food inside. Raccoons have been known to drag purses into the dunes, where they are permanently lost. Alligators are dangerous. Do not feed or throw rocks at them. They are protected. They may seem docile as they bask in the sun but they can move quickly and will if harassed or fed. Many visitors have lost car keys in the ocean. Please secure your keys and other personal items in a safe place. There are no concessions at the Seashore. As in wilderness areas, bring everything you need with you and leave only your foot prints behind. The US National Park system gives visitors access to an immense variety of natural, historical and cultural treasures. Whether you enjoy backpacking in the wilderness, viewing natural wonders or exploring the history of the US, you can find a great National Park to visit. As you plan your trip to a US National Park, keep in mind that, in addition to each park's specific rules, there are policies that apply to every park in the system. Some are obvious, but others are a bit more unusual. 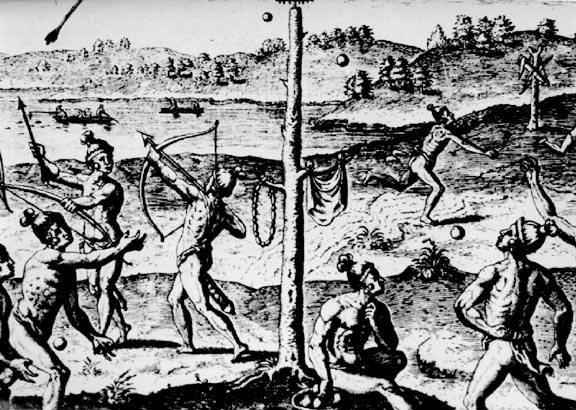 Here are some things you cannot do in any US National Park. National Wildlife Federation - website with description & featured species.